Thursday, 9.00 am - 1.00 pm / 3.00 pm - 5.30 pm. A new municipal library with a small garden, to enjoy and share the pleasure of outdoor reading. 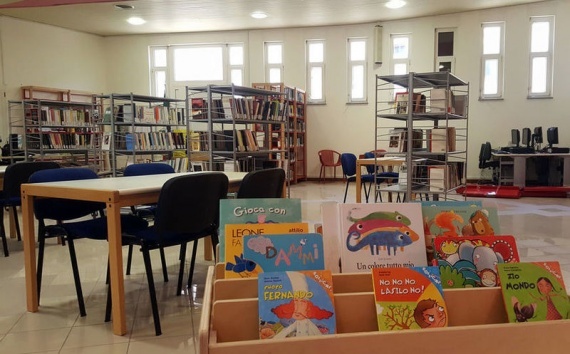 The users can consult and borrow books, but also take advantage of the information and consultancy services and use the reading room for kids. In addition to the recreational activities for the children and the elderly, the library will soon provide computer services through six internet access points. Furthermore, the small garden facing the entrance let the users enjoy the pleasure of outdoor reading.